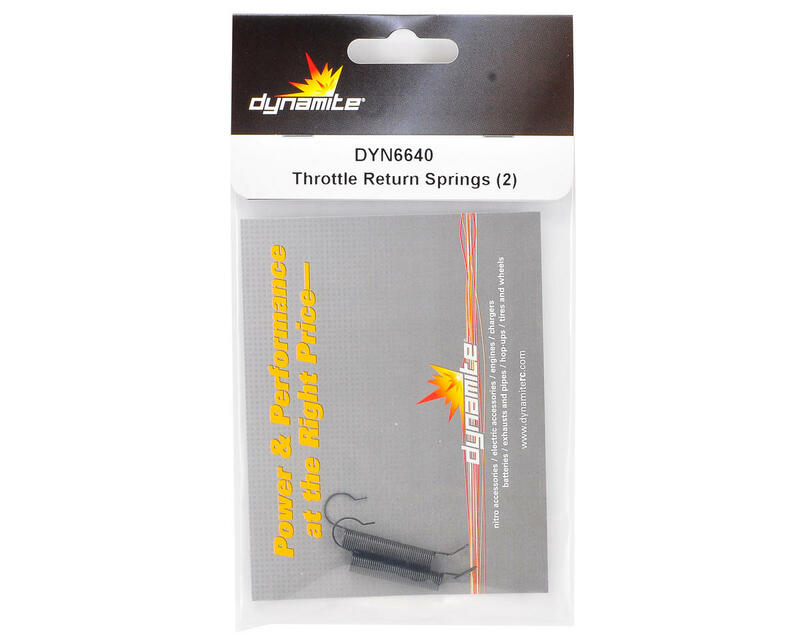 This is a Dynamite Throttle Return Spring Set. This spring works very well and when installed correctly will not hit the carburetor throttle boot. Great idea. Sadly these springs do not provide adequate tension to return the throttle on any of my engines. 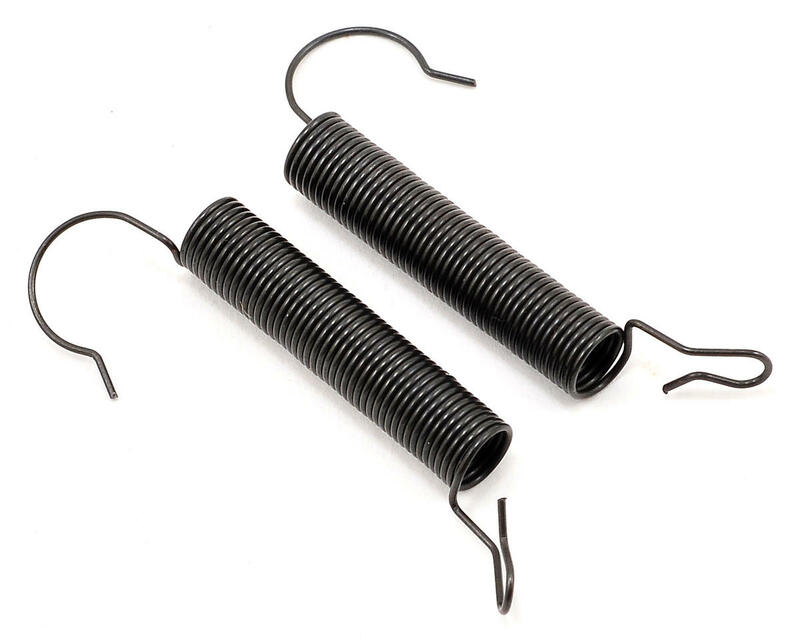 I bought two sets of these springs, sadly they are of no use to me as they do not work. I will be sticking with rubber bands or silicone 'o' rings. I hate to leave negative reviews, but I'm completely agreeing with the other one-star review here. This spring has almost zero resistance and will not close the carburetor. It's designed so that the small end hooks around your carb slide and the other around your high-speed needle. Once hooked up it just doesn't do its job. It's the same spring that's been on my old-school LST for the last 10 years and that one works great. I'll have to use that one until I can find a spring that has enough tension to do what its designed for. Just got these 3 sets of these. I had an old one and I do not know if they changed the resistance of the springs but these do not work at all. The spring is too flimsy that the carb does not even move back a millimeter. I had it set up just like any normal set up and the carb stayed open. I tried moving the other end farther, the spring expanded and didn't contract!!! Off to the garbage can. Not paying 15% restocking and shipping just to send it back!!! All I can say. This is a good investment to have for your engine.